Operation Musketeer, the invasion of Suez in 1956, was the first British Combined Operation to use helicopters in support of an amphibious landing. These are A (Buster) Milham's recollections of the operation. 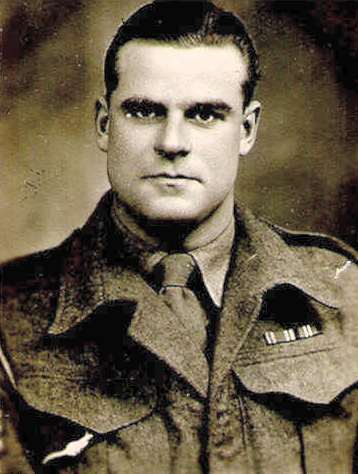 In 1946, I was conscripted into the army as required by the Government of the day. After basic training in Howe Barracks, Canterbury I was posted to a Signal Training Regiment at Barnard Castle in County Durham, where I qualified as a Regimental Signaller in the Royal Artillery. From there I was posted to the School of Combined Operations at Fremington, North Devon, which was concerned with beach intelligence, training, mounting and communications. I trained in high speed Morse code, undertook a naval gunnery course at Whale Island, Portsmouth and a naval radar course at an establishment nearby. 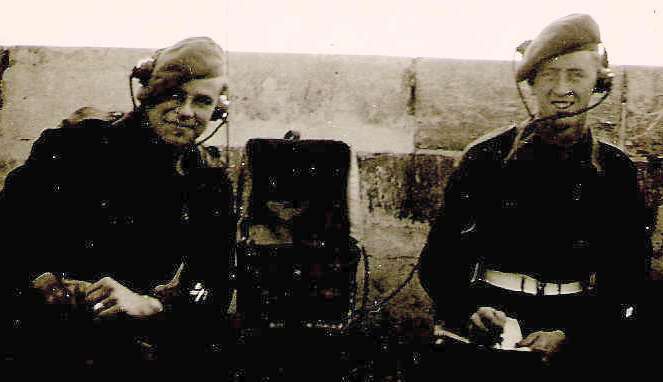 By then, I was trained to establish radio communications with any ship on stand by, to supply naval gunfire support to any army unit ashore and to relay fire orders to correct the fall of shot (shells) until on target. I was also a signals instructor for 20 of my 22 years service. 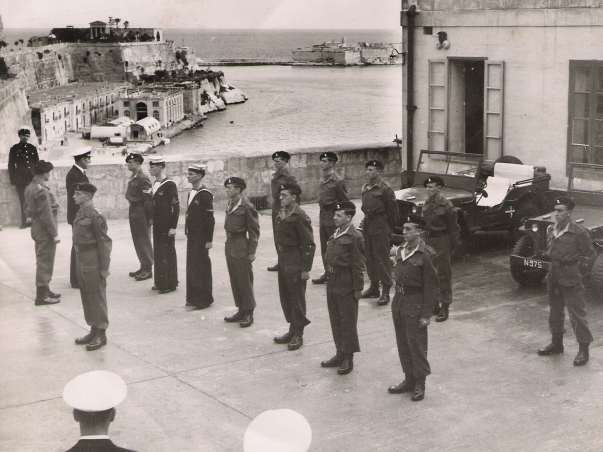 In November 1947, four of us were posted to Malta to form a new Combined Operations Bombardment Unit (COBU) under the command of two officers, who were already stationed on the Island. 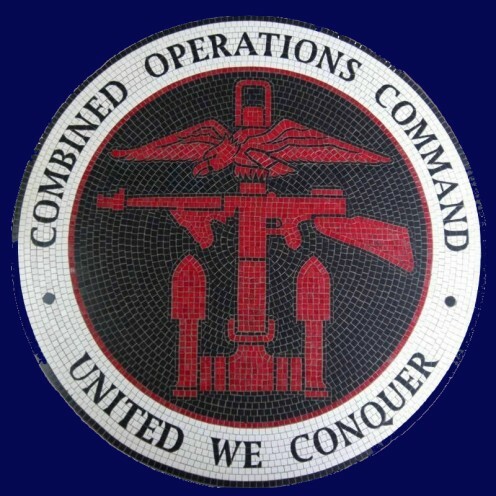 The officers had been in COBUs during the war, seeing much action in Europe and the Far East. The senior of the two was awarded the Croix de Guerre by the French Government for his services in France. 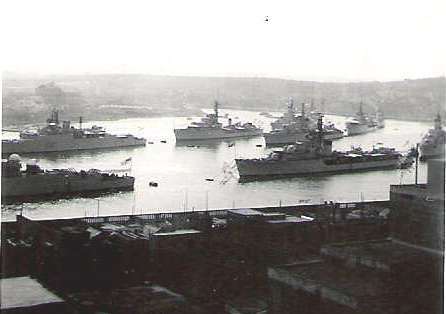 We lived in the Royal Naval Barracks, Camarata, situated in the island's capital, Valletta. It remains there to this day but now occupied by the local Maltese. The old nameplate is still in place over the door but with the RNB removed. From that point on our accommodation was always with the Navy, either on shore bases or aboard ships. I preferred the former, since I was sick on every ship I ever slept on! Living and working with the Navy, we learned new technology and terminology to conform with naval standards and Navy communication procedures. The role of our Battery was to produce naval gunfire support for landed infantry moving forward, until conventional artillery could get ashore. To achieve this, our Battery was organised into several forward observation parties, each comprising an Officer (normally a Captain), a Technical Assistant Royal Artillery (TARA), a Royal Naval Telegraphist and two Artillery signallers, making 5 members in all. In layman's terms, we provided gunners with information on targets and feedback on the accuracy of their shelling, to allow them to make adjustments where necessary. Accurate shelling was obviously a good thing in military terms but it also helped reduce collateral damage to civilians and their property, especially in built up areas. 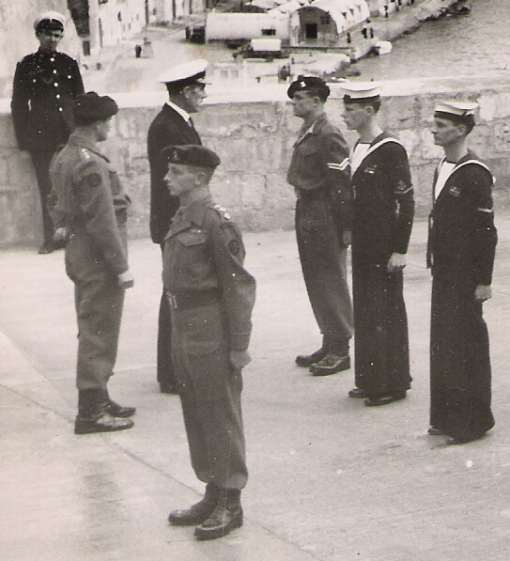 More training took place at the Naval Signal School at Fort Ricasoli on the side of the Grand Harbour of Valletta. This training included visual signalling and pennant recognition and increased Morse speed to 30 wpm to allow us to take the trade test at 25 wpm on a typewriter. Visual Signalling involved sending Morse by means of a hand held Aldis Lamp or a 10 inch or 12 inch lamp situated on the bridge of a ship. A later version, used by the Army in India and other sunny countries, used a mirror to reflect the sun's rays. 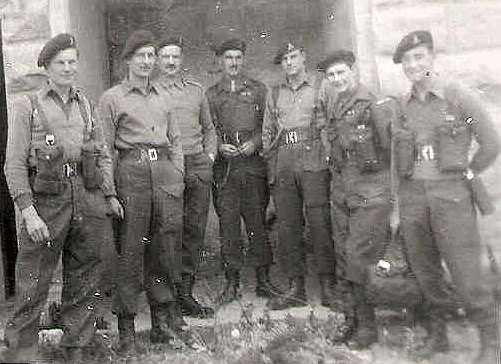 A confidential report for 1949-50 commented about the author... A fine NCO who carries out his duties (Troop NCO, pay clerk, signalling instructor, driving instructor and Quartermaster) in an efficient and capable manner. It was a demanding and sometimes exhausting work schedule. Our training allowed any one of the team to provide reliable information to the gunners, even if the unit was reduced in strength to one man as a result of enemy action. 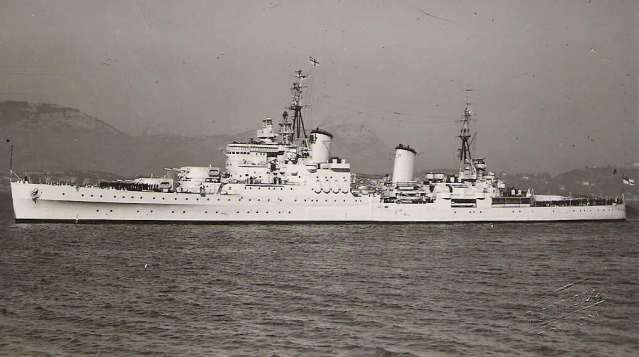 However, under normal operating conditions, the Officer was responsible for controlling the naval gunfire and guiding the shells onto the target being engaged. 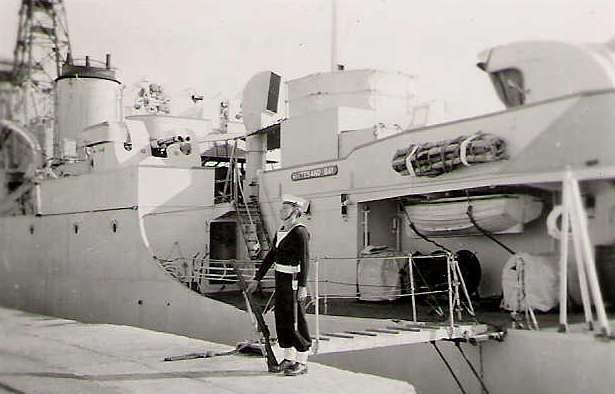 These naval guns were normally of a 4.5 inch or 6 inch calibre, depending on the type of ship. 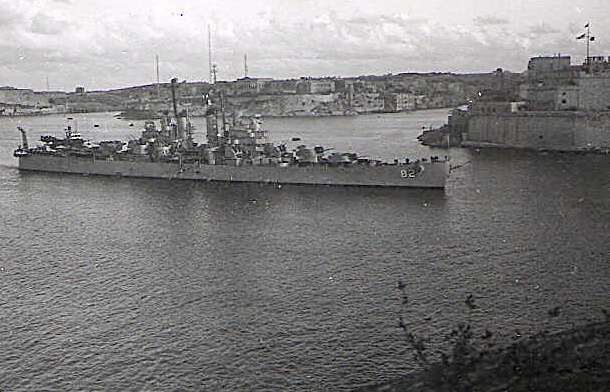 At the time of Suez, we were in HMS Phoenicia situated on Manoel Island in Valetta harbour and attached to 3 Commando Brigade for operational purposes. The unit's name had changed over the years and in 1956 it was the 166 Amphibious Observation Battery RA. 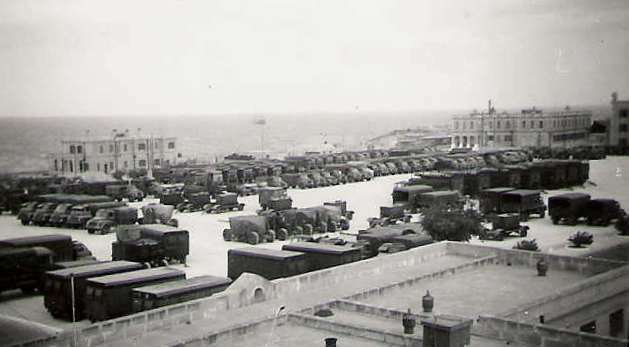 The designation 'Battery' was an exaggeration, as we never had more than 25 on strength compared to around 200 personnel in a conventional Artillery Battery. For the Suez operation we received reinforcements from our Headquarters in the UK and from our sister unit in Hong Kong. 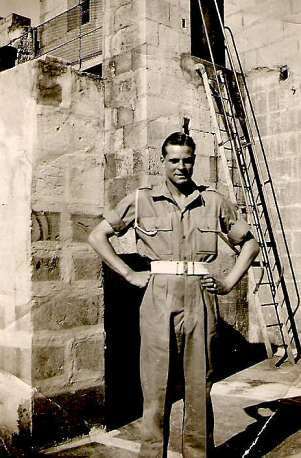 By late October 1956, I was stationed with the Royal Artillery on Malta as a sergeant but soon to become a Warrant Officer. 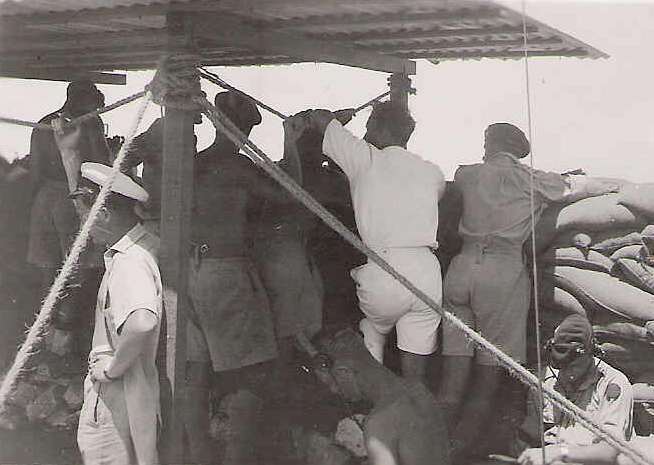 The Suez crisis created a surge in training in landing craft operations, especially embarking and disembarking from LCAs (Landing Craft Assault), which were lowered from davits on mother ships, similar to those used today for life boats on ferries. 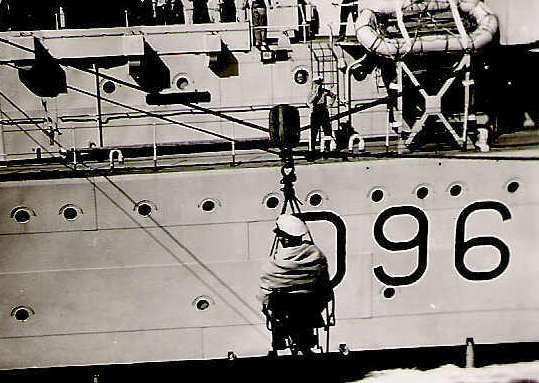 Each LCA carried 32 men and the normal procedure was for us to climb aboard before the craft was lowered into the sea. I remember one occasion when we were lowered by an inexperienced crew who had to contend with fairly rough seas and winds. These unpredictable forces caused our LCA to crash into the side of the mother ship on its way down. Once in the sea, we were directed to our position in the line of assault craft by a Naval Officer with a megaphone onboard the control ship. His orders were picked up by the Royal Coxswain of our LCA. The Coxswain replied, initially in a low voice, with some choice Anglo Saxon expletives! These were followed by a louder response informing the control officer that we were sinking! We had sprung a leak from the damage caused in lowering the craft and immediately returned to the mother ship to be lifted clear of the water. We retrieved the LCA just in time and it took almost 24 hrs for the sea water to drain out. We were fortunate to avoid fatalities, especially since, I for one, could not swim! On the 31st October we embarked on the LST Lofoten (Landing Ship Tank.) The other five parties in our group were dispersed to other ships. 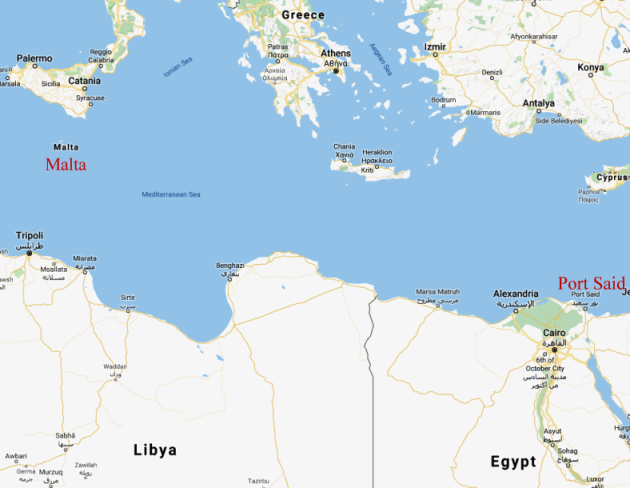 The voyage of around 1,200 nautical miles (1350 miles) took 6 days and the LST anchored off Port Said. At around 0500 hrs on the 6th November we boarded our LCA. About half an hour earlier we were informed that we were up against the Egyptian Army. Once lowered into the sea, we formed up for the run in and found ourselves in the first wave along with 40 and 42 Commando Royal Marines, some in LCAs and others in LVTs (Landing Vehicle Tracked). 45 Commando went in by helicopters, thus making this the first Amphibious/Helicopter assault in the world. 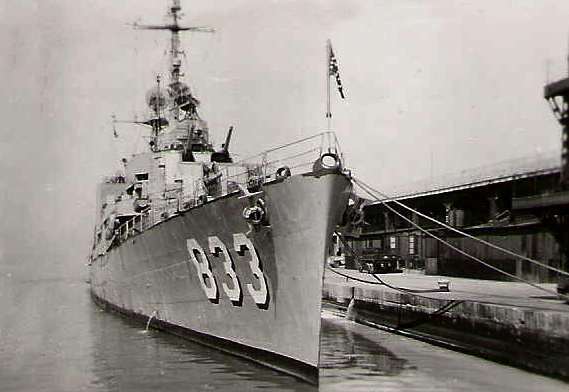 During this period, we were shelled from ashore but luckily no craft were hit. As the ramps went down, we disembarked into waist deep water with some trepidation. As we waded ashore, we pushed aside pieces of wood and other burning debris floating on the surface. We had no idea what was facing us but luckily the enemy's T 34 Soviet made tanks, which were lined up at the top of the beach, had been abandoned. On reaching the shore, we passed a number of beach huts which were on fire. There were explosions from time to time and we convinced ourselves that the huts contained ammunition. Much to our chagrin, we later discovered that the 'lethal' contents of the huts were bottles of soft drinks blowing up in the heat! Some of the huts were beach cafes, hurriedly abandoned as we approached the area. I was heavily laden with equipment as I ran up the beach - sub machine gun, two hand grenades, six magazines of ammunition and a radio on my back. A voice came over the radio from one of the other parties still to land asking if the beach was mined. This rather slowed down our progress since we hadn't given the possibility of mines much thought. Amidst all this mayhem, one of the locals stood at the top of the beach shouting, "Haircut Johnny?" - the one comical episode of the whole operation. 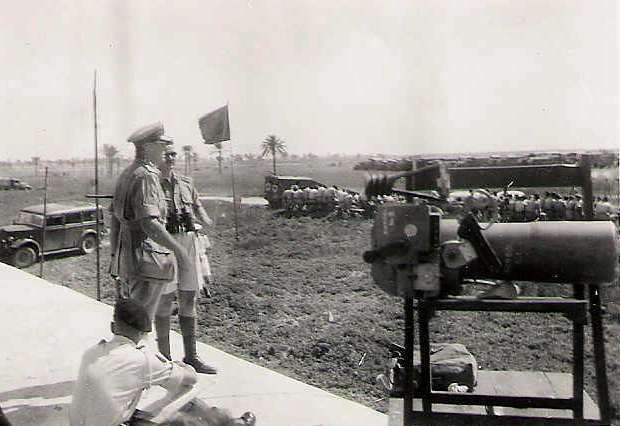 We established an observation post in a French Lycee (school), which had been the Headquarters of the Egyptian garrison in Port Said. After a while, a group of Marines came in with an Egyptian Brigadier General, who had been the garrison commander. Without any warning or hesitation my CO, a Major, embraced the Brigadier like a long lost friend. They had been on the same gunnery course in England some years earlier. Such is war! Later in the morning I ventured outside to see what the situation was and almost immediately I was knocked backwards by the impact of a bullet hitting my hand and severing tendons. I was sent to the RAP (Regimental Aid Post), which had been set up in the Casino Palace Hotel. On entering the RAP my arms and ammunition were taken from me, so I felt quite naked as fighting was going on all around the hotel. While waiting for first aid, some Egyptians, to the rear of the property, were shooting at the casualties lying inside the RAP. Our troops chased them off before any of our wounded were hit. After patching up, I made my way to the evacuation point not far from De Lessop’s statue, where the bodies of three dead Marines were laid out to be collected. They were covered in blankets with just their boots showing. Strangely, I was most struck by how still they were, despite knowing that they were dead. I also remember their sand covered boots and thinking that these poor devils were running up the beach with me just a few hours previously. A passing Marine Captain stopped to say how sorry he was that I had been wounded and wished me all the best. Some hours later he was shot in the head – but I never found out whether he survived or not. 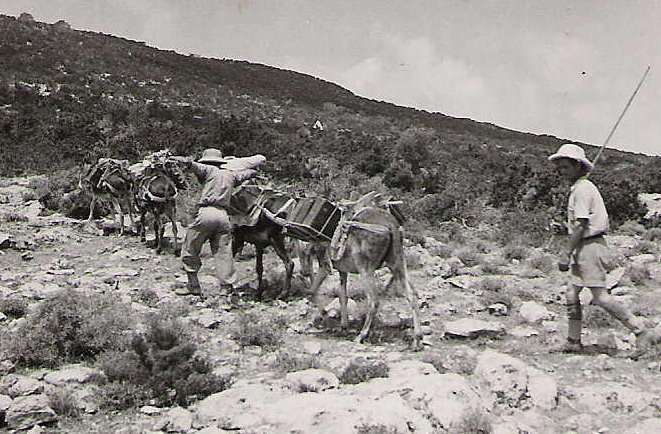 Casualties for this operation were 22 killed and around 100 wounded. A Wessex helicopter eventually picked me up and conveyed me to HMS Ocean, an aircraft carrier part of which had been converted to hospital wards. I shared the chopper with three more seriously wounded Egyptian soldiers and the thought crossed my mind that they could overpower me and decant me into the sea. I was later shipped out to Malta for surgery under the supervision of medical staff known as sick berth attendants. They did a marvellous job. At one stage I was destined to return to the UK for treatment and convalescence but I persuaded the officers concerned that I should remain in Malta where my family were. Apparently Army casualties went to the UK and Navy to Malta. I made the case that I was as much Navy as I was Army! On arrival in Malta, I was taken by ambulance to the British Military Hospital, Imtarfa, at the northern end of the Island. I was operated on and had a plaster cast fitted. Because of the number of casualties, one of the maternity wards for service wives was emptied for us. When my wife visited me for the first time there were three or four very pregnant women sitting on my bed sharing their grapes and chocolates! After about a week I was discharged and reported back to my unit. Two or three weeks later, I received a bill for the weapons and ammunition I had "LOST" in Suez! This pleased me no end as you can imagine. After calming down I was informed that it was normal army procedure for writing off these items, although, in practice they would have been returned to an ordnance depot somewhere. For being involved in this action I was awarded a General Service Medal with a 'Near East' clasp. Click on thumbnails to enlarge. If thumbnail images are missing click anyway to see the full size image, while we try to resolve the problem. Thank you and well done on an excellent website. I would recommend a book published in 1947 by the Bombardment Units Association entitled "Soldier, Sailor" compiled by Geoffrey Sanders with a forward by Major-General R. E. Laycock, C.B, D.S.O. I have my father's copy and it gives an invaluable insight into C.O.B.U. It has long been out of print but a search of 2nd hand bookshops should throw up an odd copy. David Gaskin (Check book availability on the 'Books' link below and order on line if you wish). Operation Musketeer, the invasion of Suez, was written by A Milham (Buster).